As part of their new “Campaign for Real Life” Bridgedale is challenging everyone to get back to the “Little things that matter” which will enhance health and wellbeing. By launching its ‘ScreensDown SocksUp’ campaign, Bridgedale is going to encourage everyone to give up some of their screen time and swap it for the Great Outdoors. Mark Brennan, Managing Director, said: “There is a growing body of evidence-based research that over usage of screens is having detrimental effects on our health and welling. At Bridgedale we are trying to encourage a rebalancing and reduction in Screen Time so that we can enjoy the benefits of the technology, but not at the expense of our health and welling being. 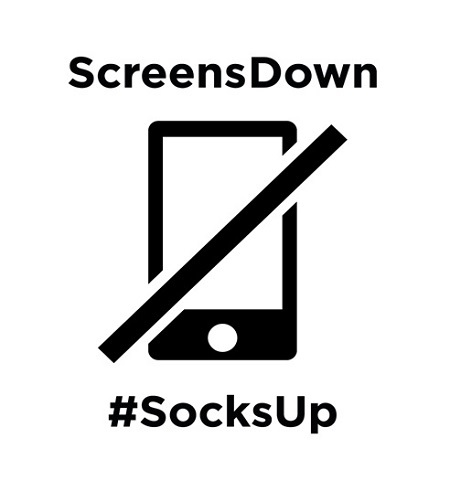 “Against this background we are very excited to be launching the ScreensDown #SocksUp campaign and hope it will encourage people to make small changes to their lifestyles. The campaign pledge, that can be taken either online or offline, will be supported with content and links that will inspire, educate and encourage in practical ways how consumers can use their screens more efficiently giving them more time to spend outdoors.